Show Report: 3-D Rarities and Hondo at the Museum of Modern Art's "3-D Summer"
June 10, 1915 saw the first public exhibition of stereoscopic motion pictures, it took place at the Astor Theatre in New York City. 100 years later, on June 13, 2015, New York City's Museum of Modern Art opened a three-week long film exhibition called "3-D Summer". As the saying goes, you've come a long way, baby. The show: 3-D Summer at the Museum of Modern Art: a celebration of the Centennial of 3-D Motion Pictures. 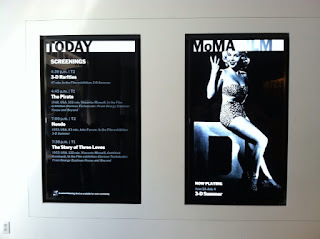 This series was organized by Dave Kehr, Adjunct Curator, Department of Film at the Museum of Modern Art. Screenings held at MoMA's Roy & Niuta Titus Theatre 2 featuring Christie Digital Projection and the Dolby 3-D system. Arriving around 3:30 at the Museum for the 4:30 show of 3-D Rarities, there was already a decent-size crowd gathering. From running classic films for over 10 years at the Lafayette Theatre I built up a pretty good sense of how an audience is going to shape up and was not at all surprised by the anticipation these folks were feeling. I did recognize some people there who had been regulars at my shows so I knew the event was drawing people from far and wide. 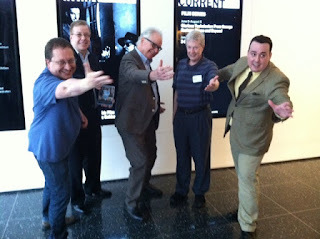 I met up with the 3-D Film Archives' head honcho Bob Furmanek, the Archives' Technical Director Greg Kintz, John McElwee of Greenbriar Picture Shows (Executive Producer of 3-D Rarities), and the Archives' Associate Producer Jack Theakston. Bob also introduced me to to the Museum's Adjunct Film Curator, Dave Kehr, who I was delighted to finally meet after reading his New York Times columns for so many years. The upper lobby quickly filled and we headed downstairs to MoMA's Theatre #2, which has a capacity of just over 200 people. While I was further chatting with Bob, Dave came by and told us that the last ticket had been sold and this was now officially a sell-out. Not a bad start at all. Unlike many museum shows, which contain a lot of museum patrons and gallery visitors, this audience was composed primarily of film and 3-D fans. First up was the East Coast premiere of 3-D Rarities, which contains 94 minutes of rarely seen short films saved and preserved by the 3-D Film Archive. Courtesy of Bob, I had seats in a prime location - about eight rows up and just off the center of the screen. The sight lines in this theatre are good, it's got a fairly steep rake so the viewing angles are ideal. By the time the show was to begin the theatre was filled to capacity and Dave brought Bob up to the microphone to give an introduction to the program. This introduction was an essential part of the show as it put the origin and purpose of many of these shorts in the proper context. Seeing them cold with no foreknowledge wouldn't be half as much fun. Starting with the earliest surviving stereoscopic film from 1922 and continuing through 1953's "Boo Moon", the sequencing is a delight. Presented in chronological order, the shorts painted a unique image of how filmmakers viewed the possibilities of stereoscopic cinema. 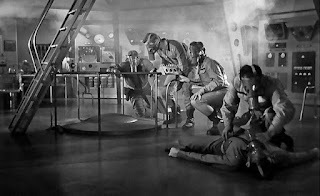 There was a terrific reception to the early test scenes - many of which featured scores of huge off-screen effects - as well as a wild ride on Riverside Drive and a visit to Coney Island's Thunderbolt roller coaster. Always a audience favorite, "New Dimensions" (aka "Motor Rhythm") got a very strong round of applause as did "M.L. Gunzburg Presents Natural Vision 3-Dimension" - which features not only the human presence of Lloyd Nolan (cutaways of him listening intently to an ophthalmologist explain how eyesight works are a treasure) and Miss USA Shirley Tegge (with her own brand of 3-Dimension), but the antics of the original Beany & Cecil puppets as well. From there, we moved into several trailers and another audience favorite, "Stardust in Your Eyes," which features music and comedy performer Slick Slavin doing impersonations of Hollywood greats in 3-D. This is another short that always gets a great audience reaction and delighted the museum crowd. Next up was the sobering "Doom Town", a rarely-seen and rather downbeat piece about a reporter's visit to an atomic bomb test outside of Las Vegas. Puppetoon-style "The Adventures of Sam Space", the racy-for-its-time "I'll Sell My Shirt" vaudeville short and concluded with "Boo Moon," a stunning cartoon featuring Casper the Friendly Ghost. When it began I could hear several audience members singling along with the theme song. There's something to be said about shared memory there. All in all, the 3-D Rarities show was a huge success.Urge your local classic cinema to contact Flicker Alley and arrange to show it as these shorts are best seen BIG. If that's not possible, the next best thing is the Blu-ray release as it contains all of the above plus nearly 60 additional minutes of material, including animations from the National Film Board of Canada plus much more. Order from Amazon and wherever Blu-rays are sold, or direct from Flicker Alley HERE. Once again, the theatre's lobby filled quickly and a long line of eager ticket-holders formed with a lot of repeat customers from the Rarities show. Dave Kehr opened the show with some brief introductory notes and then presented BATJAC's Gretchen Wayne (wife of the late Micheal Wayne and now the custodian of the Wayne estate) who further detailed the problems they faced bringing Hondo back to 3-D life. The film itself is terrific, a very solid western with a particularly strong performance by Wayne. His scenes in the first third with Geraldine Page are a delight and shows just how good an actor he could be with the right material. The later action scenes are expertly done and the story gathers to a very satisfying conclusion. Technically, the film is superb - one of the most natural-looking of all the 3-D films from that time with an exceptional use of screen space and depth and a minimum of off-screen gimmick shots (arrows, knives, etc.). 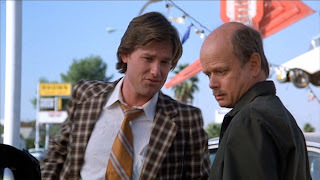 There are a number of shots in the film that are not in 3-D due to camera malfunctions while shooting on location, but the digital work they've performed keeps it from becoming a distraction. 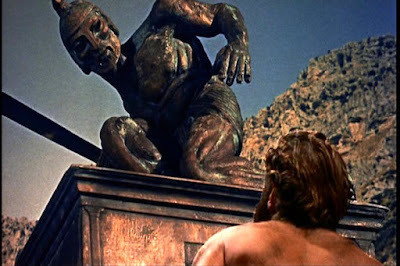 Again, as with 3-D Rarities, the audience greeted the conclusion of the film with a sustained round of applause. 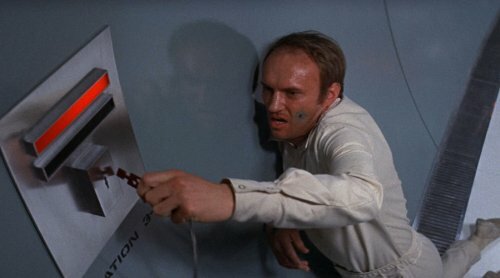 Sadly, there are no plans for Hondo to get a Blu-ray 3-D release, your only chance to see it the way its makers intended will be at one of the upcoming MoMA screenings - the schedule is HERE. 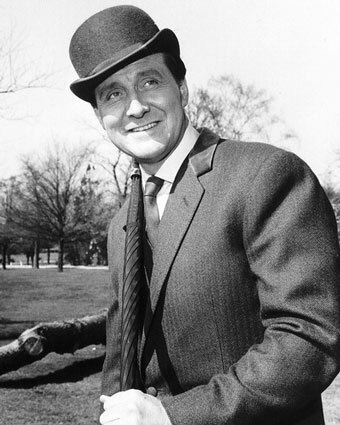 A sad day to learn that one of my favorite actors has passed away, but heartening to know he led a full and long life. 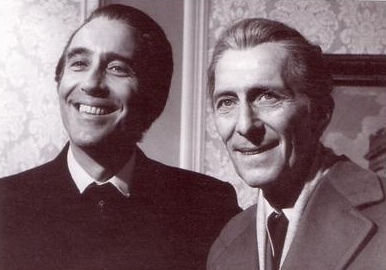 Sir Christopher Lee, along with his fellow Hammer colleague Peter Cushing, OBE, was one of the reasons I became a film fan and collector back in the 1970s. It was great to see him have a huge late career renaissance with appearances in The Lord of the Rings trilogy and two of the Star Wars prequels. I will miss him. Here's a quick update with some information about two amazing classic film events going on this weekend featuring 3-D films from the Golden Age and beyond. Be sure to click the links for the websites to get a complete listing. I know the shows at New York's Museum of Modern Art are a selling quickly, so get a ticket while you can. Saturday brings us the start of Dave Kehr's curated series "3-D Summer" (running through July 4), which celebrates the 100th Anniversary of 3-D motion pictures with three superb film treasures that must been seen on the big screen. 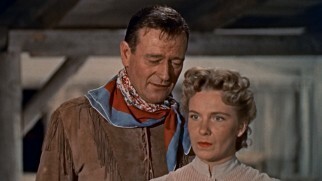 I'll be covering Saturday's East Coast Premiere of Flicker Alley & the 3-D Film Archive's 3-D Rarities and John Wayne in Hondo (its first 3-D showing in New York since 1954); Bob Furmanek of the 3-D Film Archive will be introducing the Rarities show and Gretchen Wayne will present Hondo. Watch this space next week for the post. Sunday the 14th features a newly-restored presentation of the musical favorite Kiss Me Kate. There are a number of showtimes for these three films during the festival and I urge you to try and catch one or all. Don't feel left out, California. You've got an entire weekend of dimensional entertainment to yourselves as the American Cinematheque at the Aero Theatre presents "The Golden Age of 3-D" in a whirlwind four day event that begins on Thursday, June 11 with the West Coast premiere of 3-D Rarities (with an in-person appearance by Slick Slavin!) paired on a double bill with Arch Oboler's The Bubble (restored by the 3-D Film Archive). Also on tap Friday through Sunday are double bills with such classics as House of Wax, The Mad Magician, Creature from the Black Lagoon, Hitchcock's Dial M for Murder, Kiss Me Kate, Miss Sadie Thompson, and Inferno. If I was in California, I know where I'd be this weekend. Beany & Cecil would approve. If you can't see one of the 3-D Rarities shows in person, order the Blu-ray from Flicker Alley HERE. 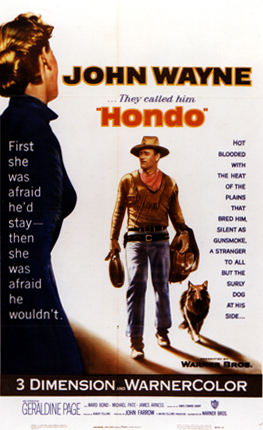 It appears that Hondo will remain unavailable on a 3-D Blu-ray. Yes, I know. It's a cornball wordplay headline. I watched these two movies over the past week and they present an interesting look at heroes and anti-heroes. You can tell even just by looking at the trailers (see below). 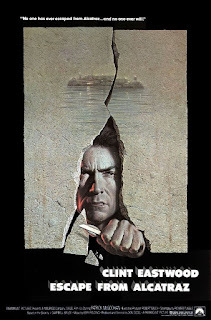 Both are really well done films with terrific performances, both present prison as a place you should never want to go, both play a little loose with the facts. And both are products of their time: Bird Man from 1962 and Escape from 1979. 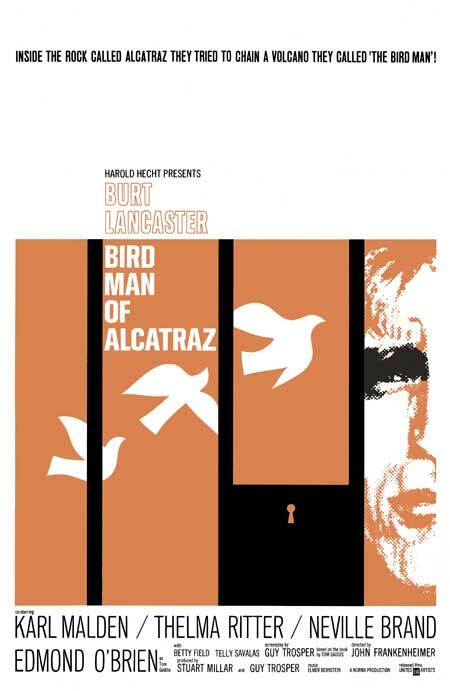 What you don't want to do is read about the real Robert Stroud, the Bird Man of Alcatraz. 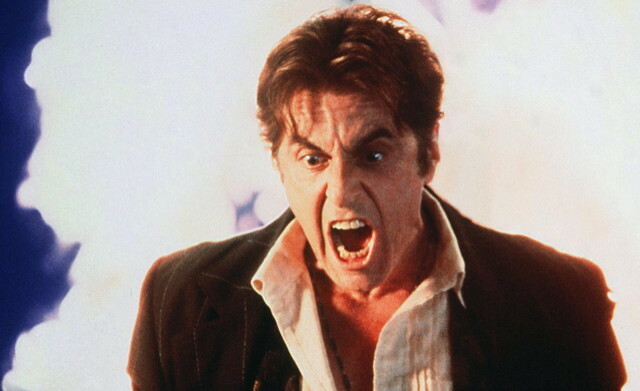 The movie makes him a kindly, troubled soul. The real story, as it often is, is far different. This was one bad dude in real life. Escape's Frank Morris isn't presented with complete accuracy either, but the film makers don't gloss over his life of crime. For more on the real Stroud, go HERE. For more on the real Frank Morris' escape, go HERE.